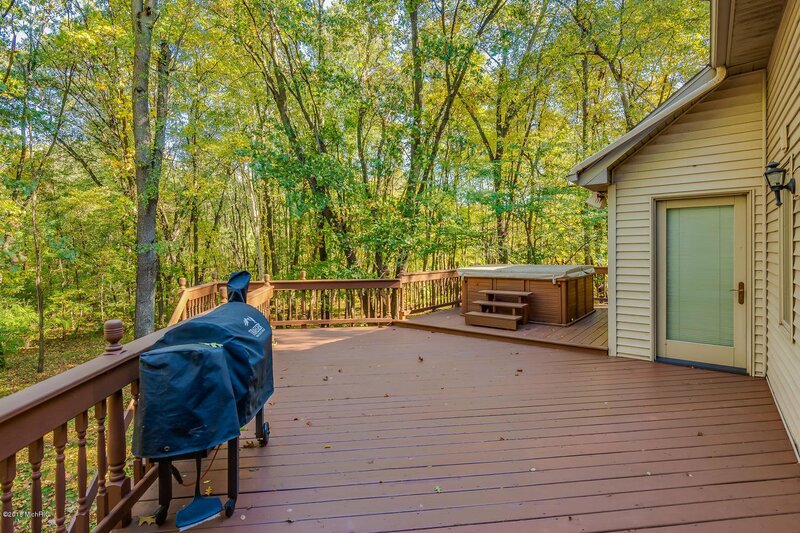 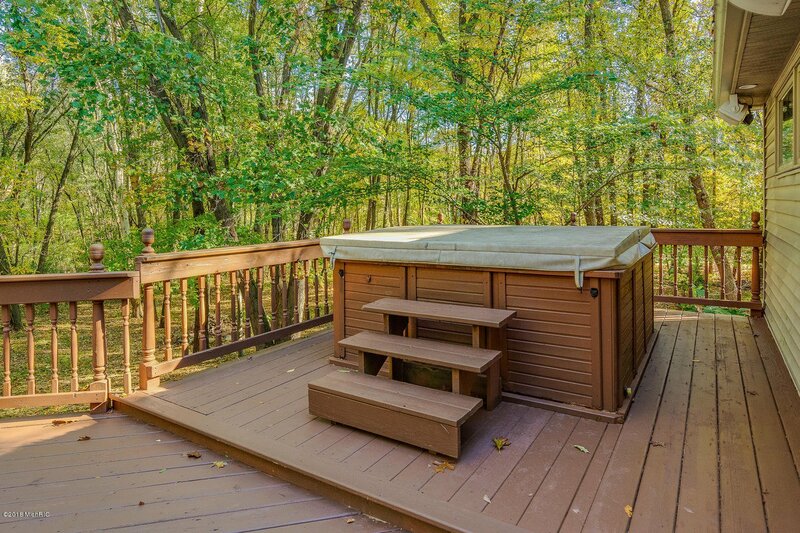 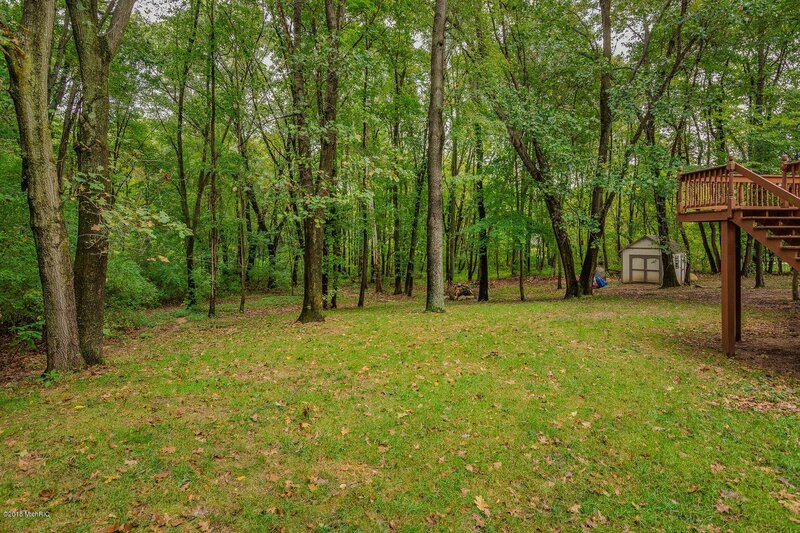 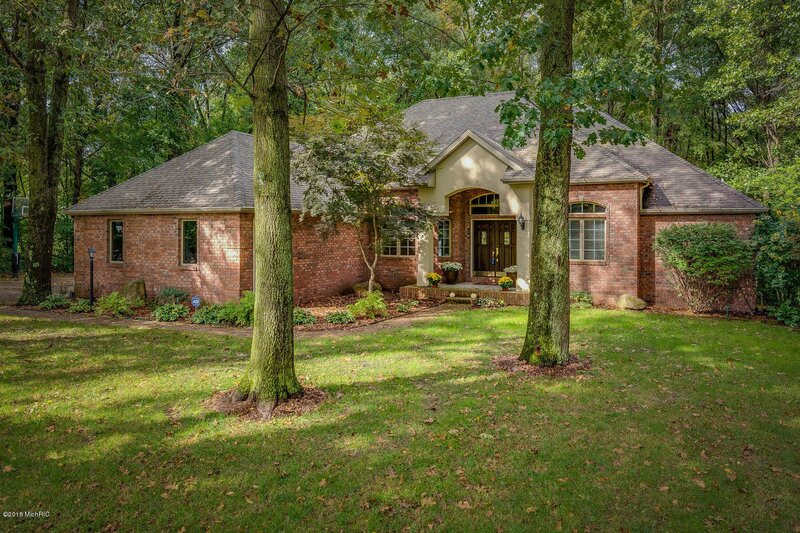 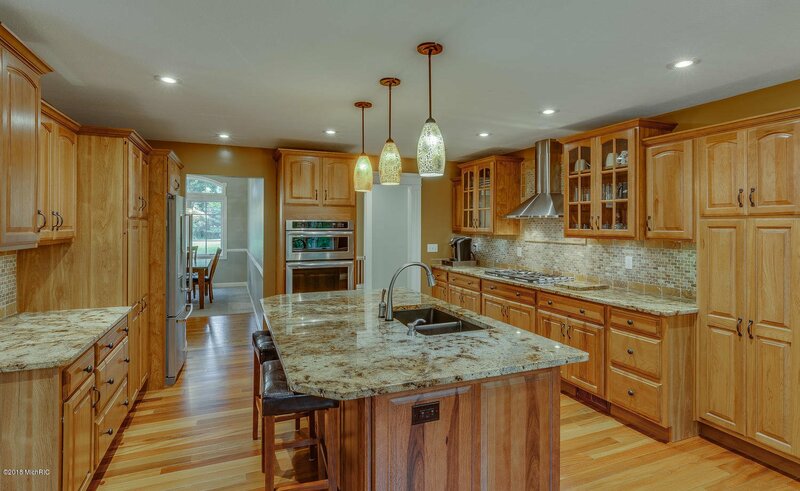 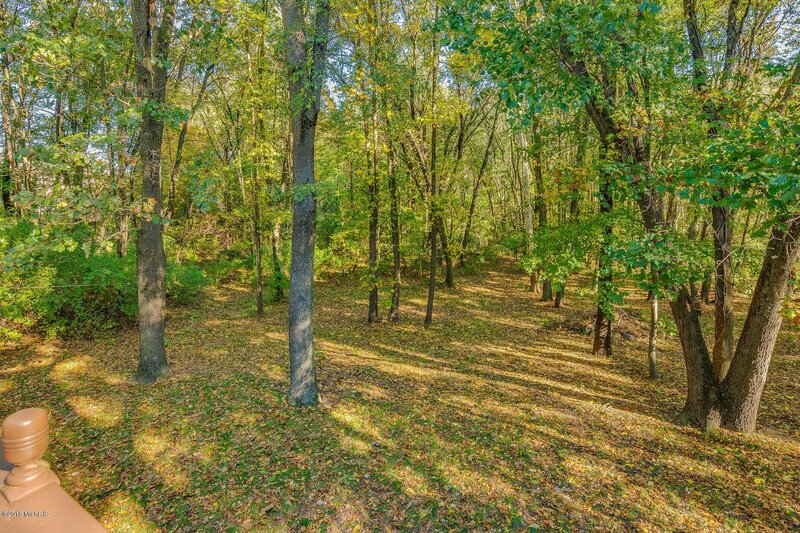 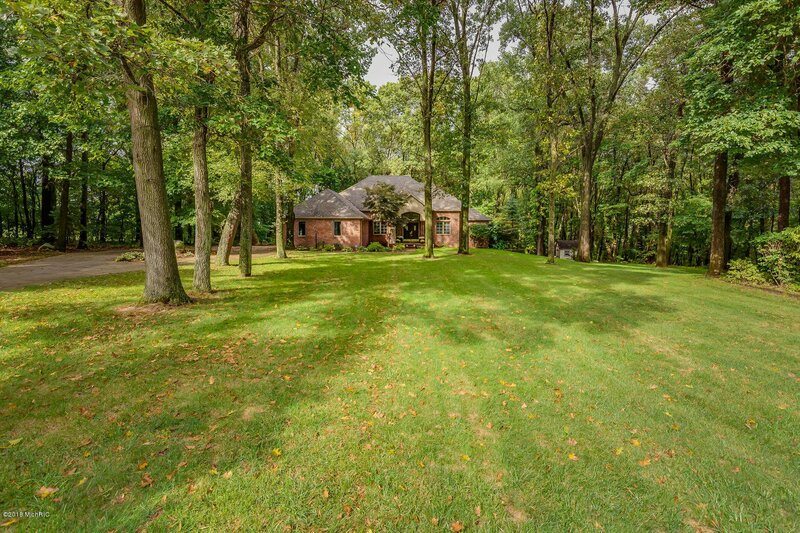 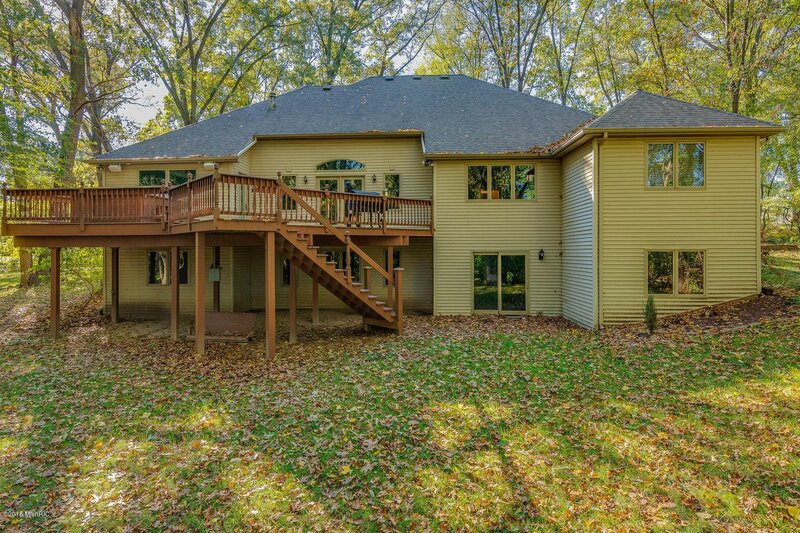 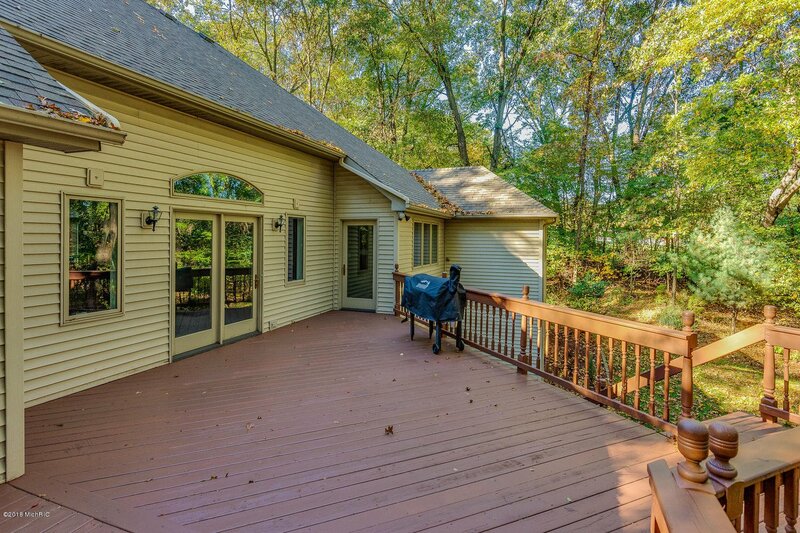 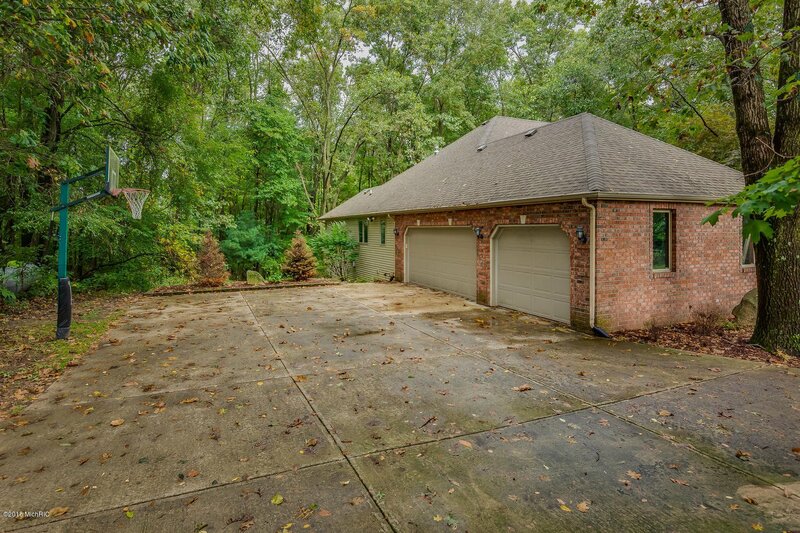 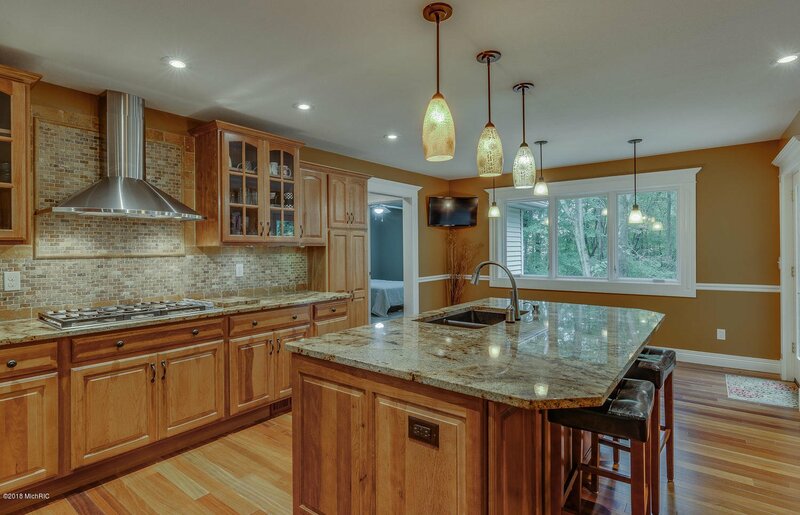 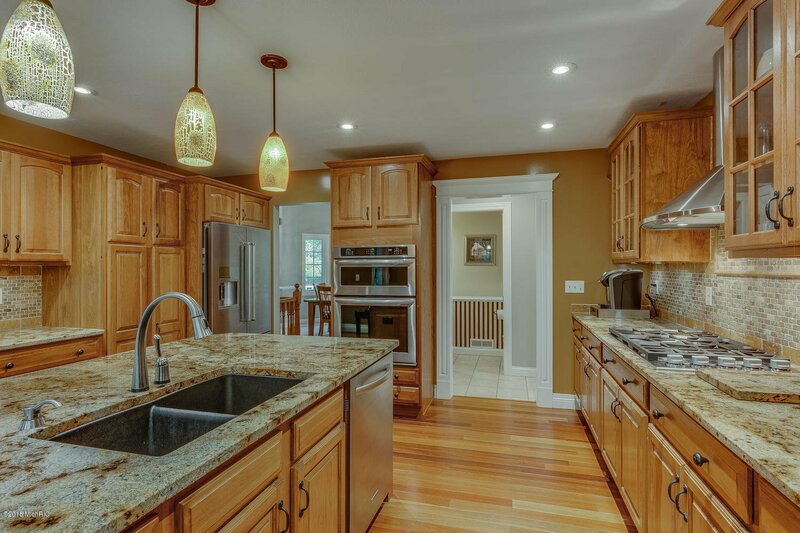 Perched on the edge of the woods on 1.27-acres in Woodfield Hills is this beautiful walkout ranch home. 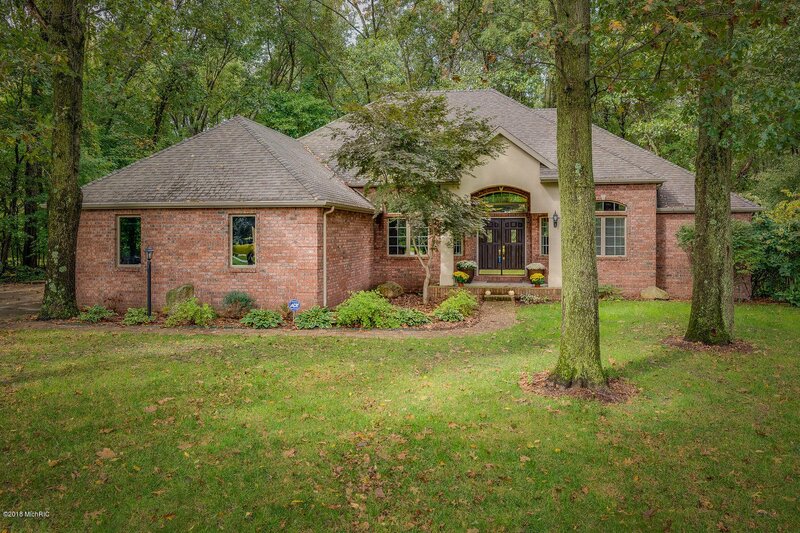 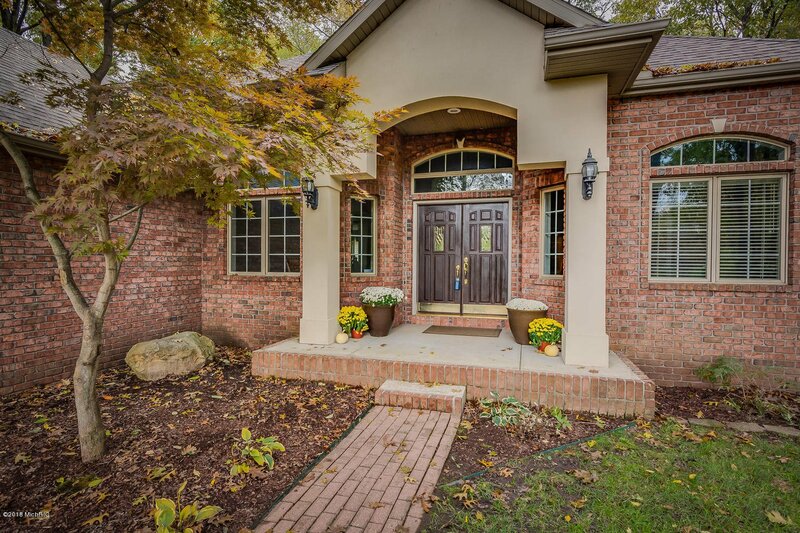 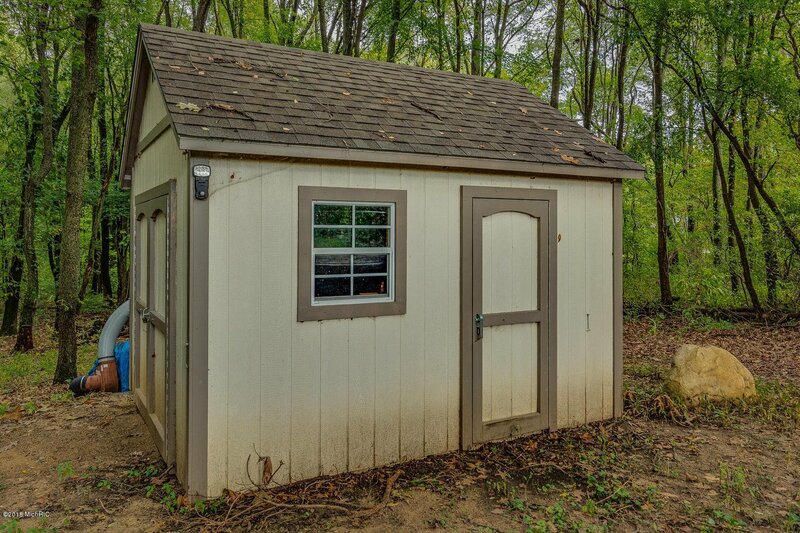 Located in the award-winning Edwardsburg School System, the home offers 4 bedrooms (plus a den) and 3.5 bathrooms. 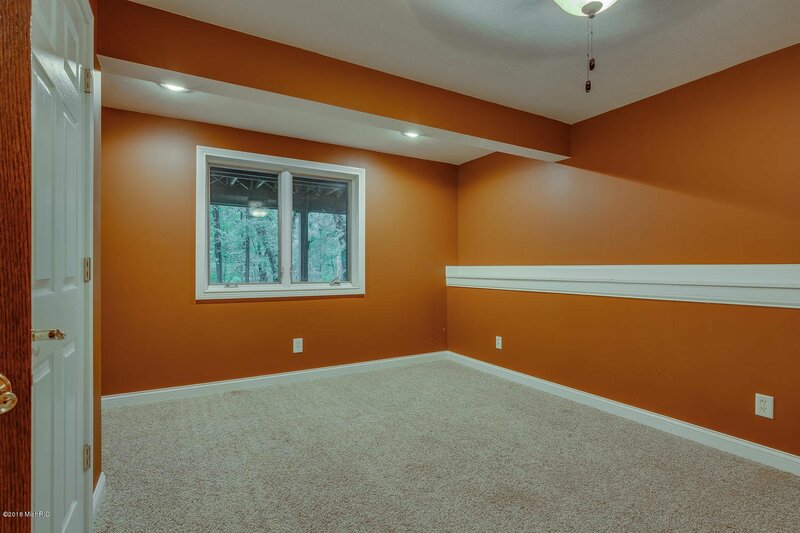 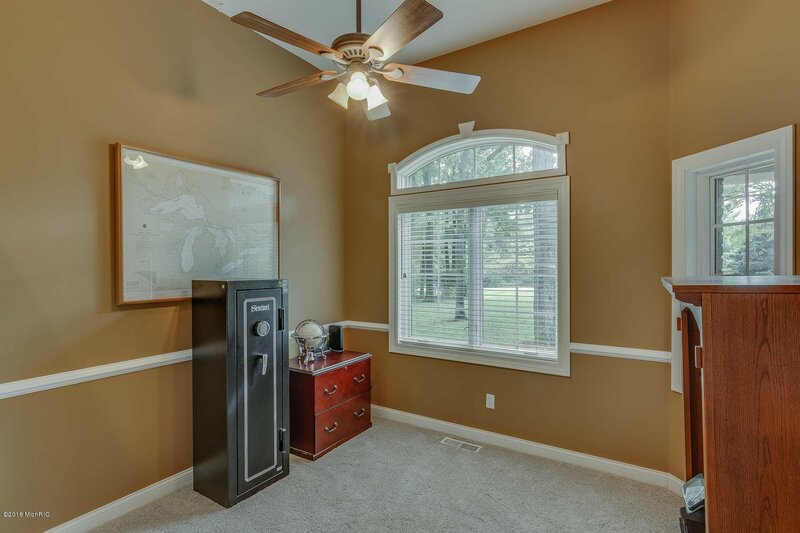 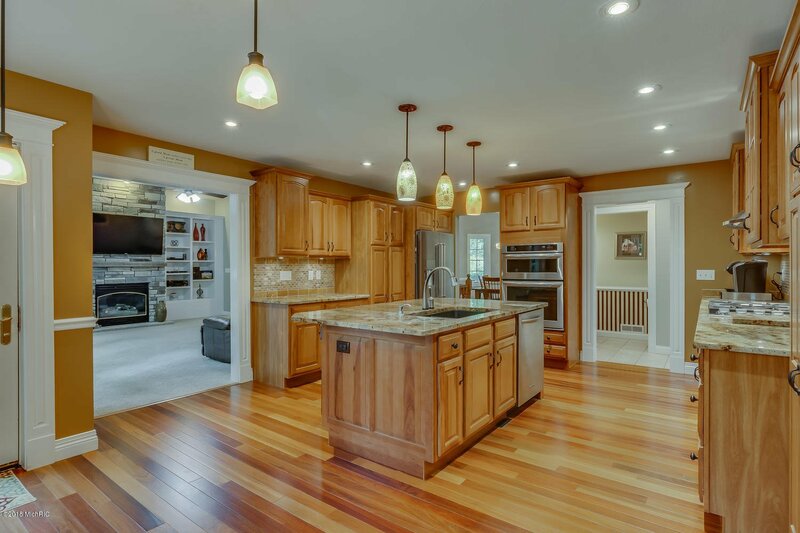 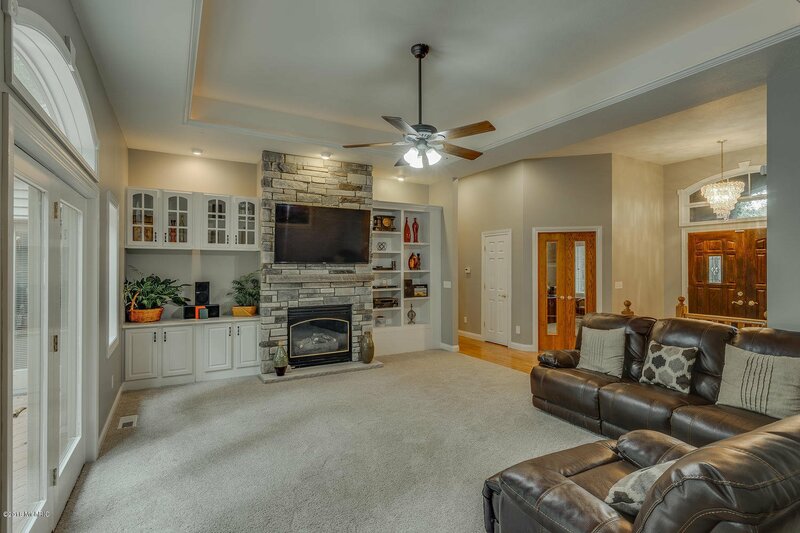 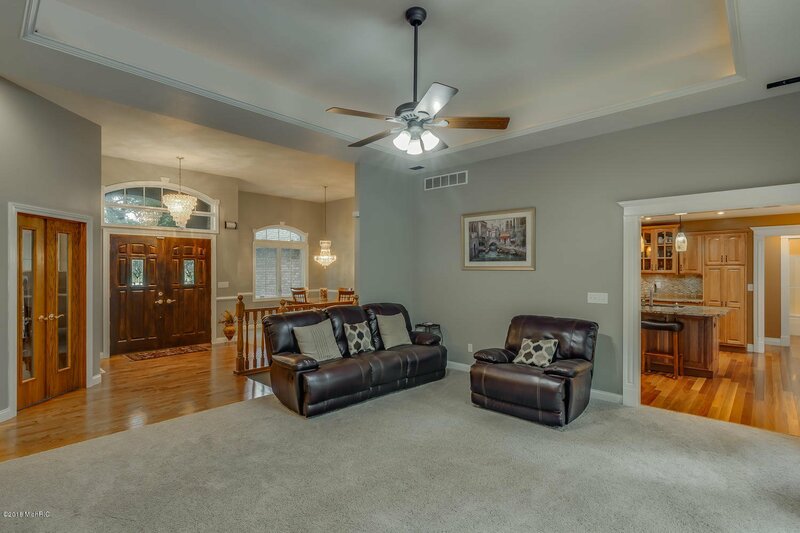 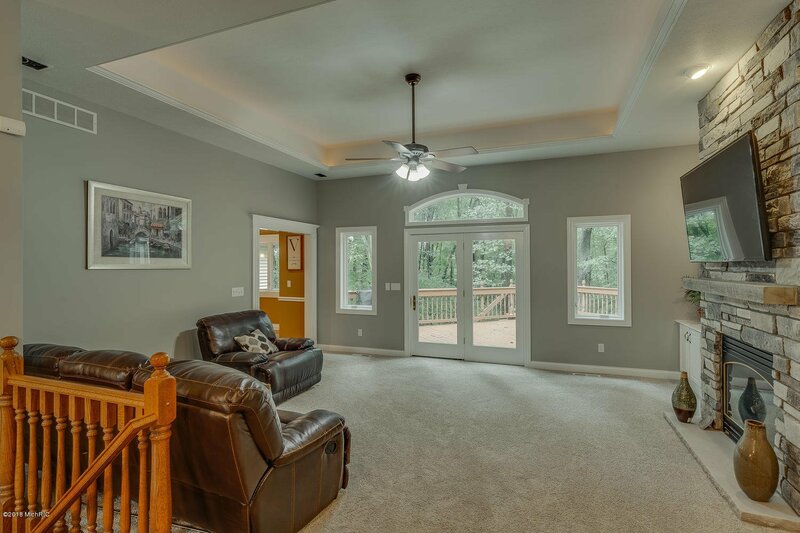 This inviting open floor plan features neutral paint colors, plush new carpet, 10-foot ceilings in the foyer and living room, and large windows throughout. 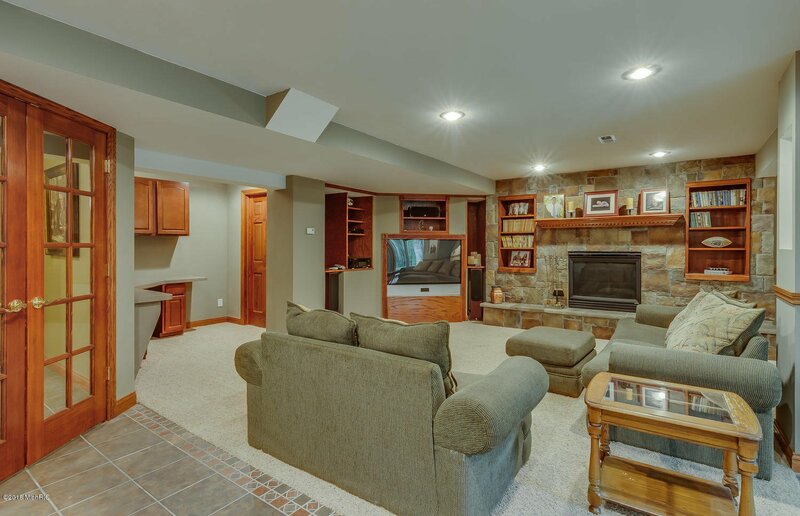 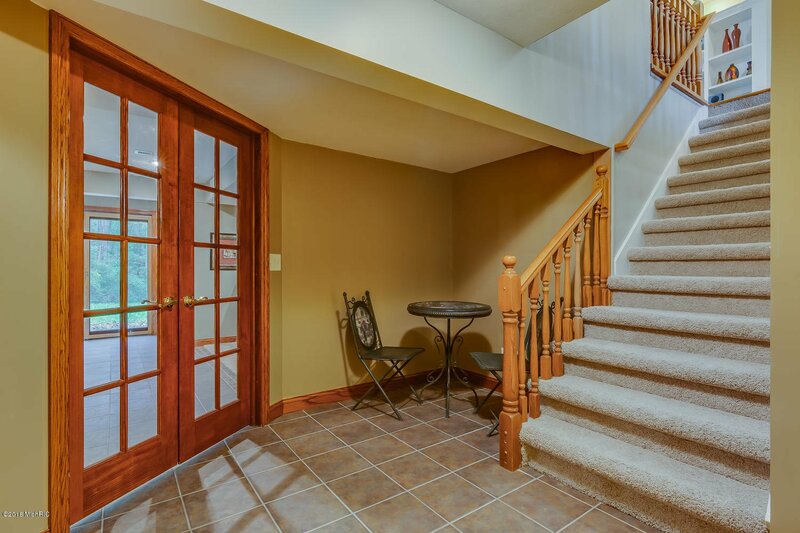 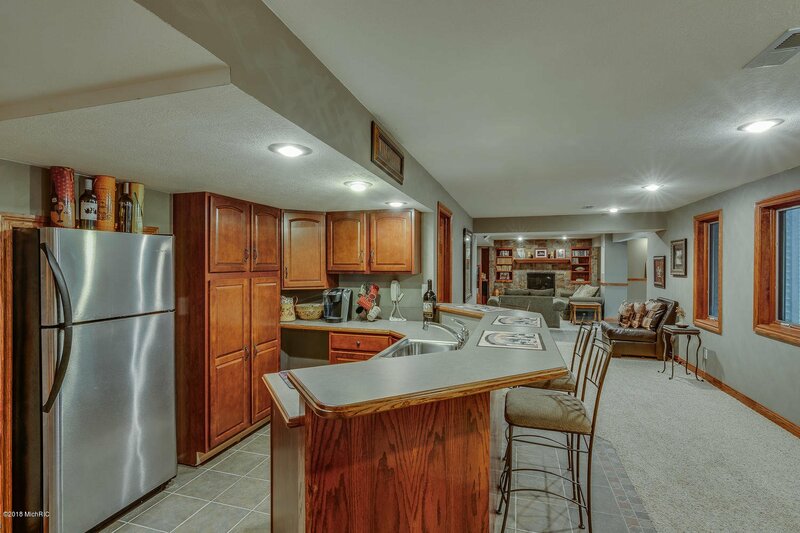 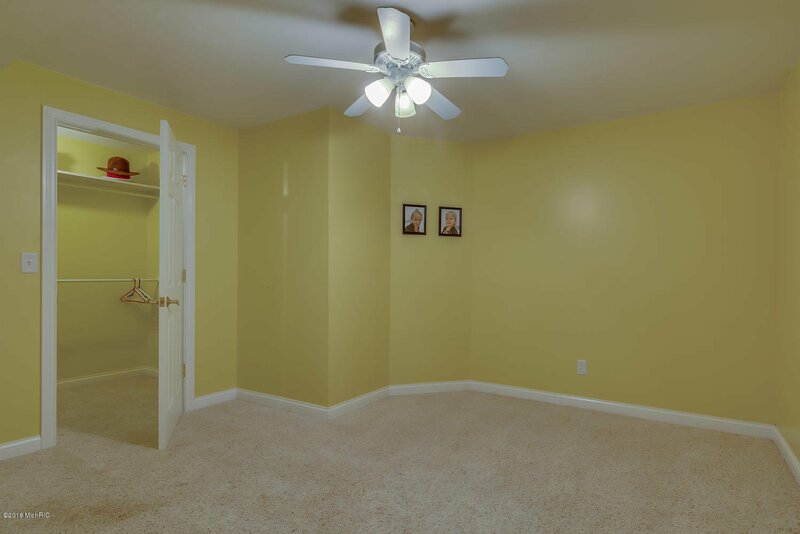 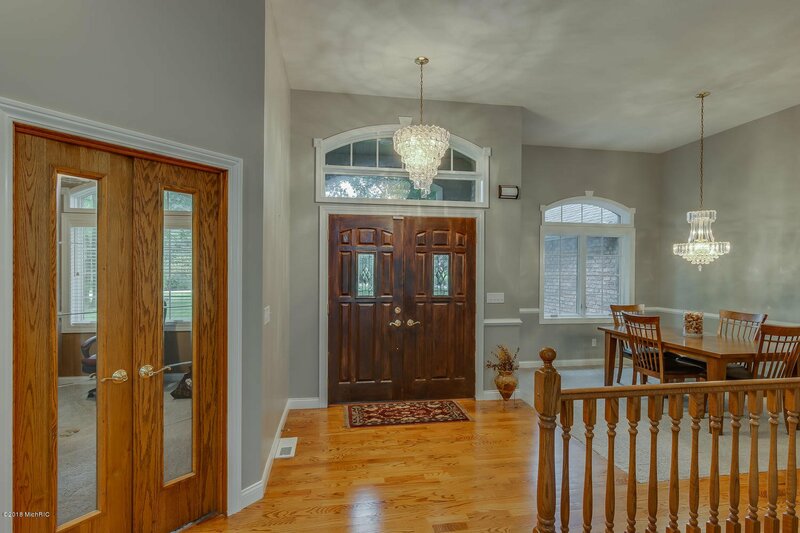 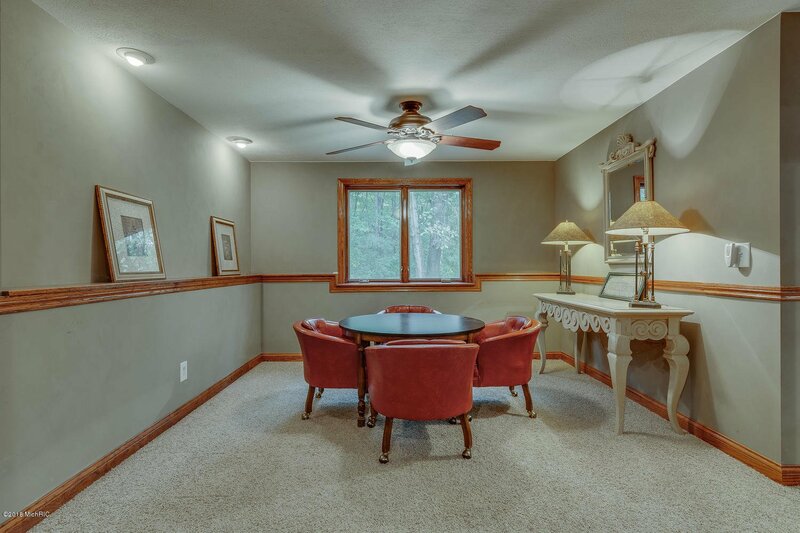 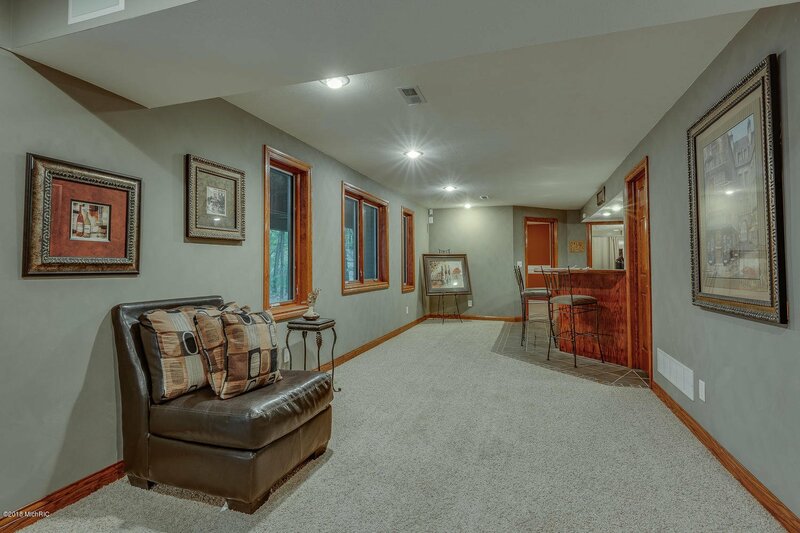 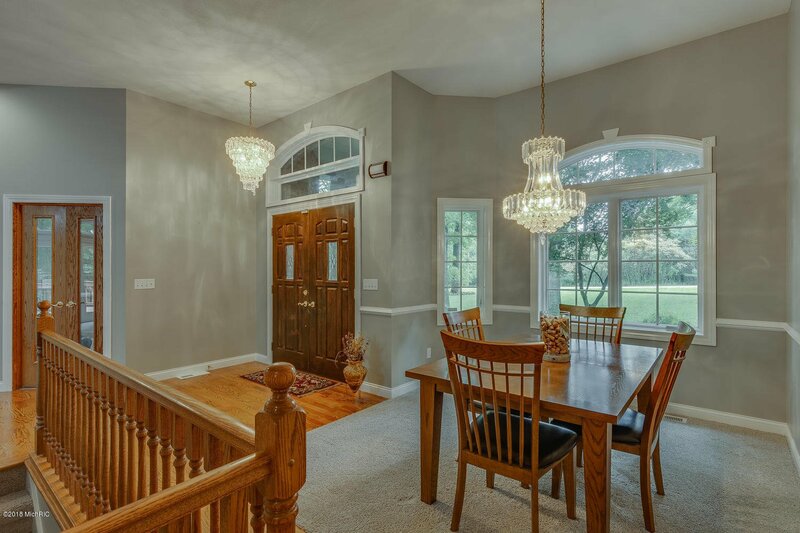 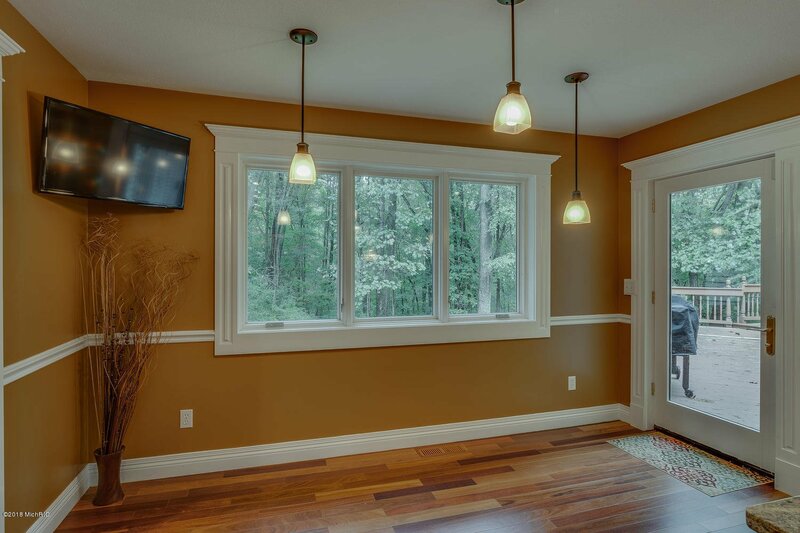 The foyer is flanked on either side with a formal dining area and a den with French doors and a closet. 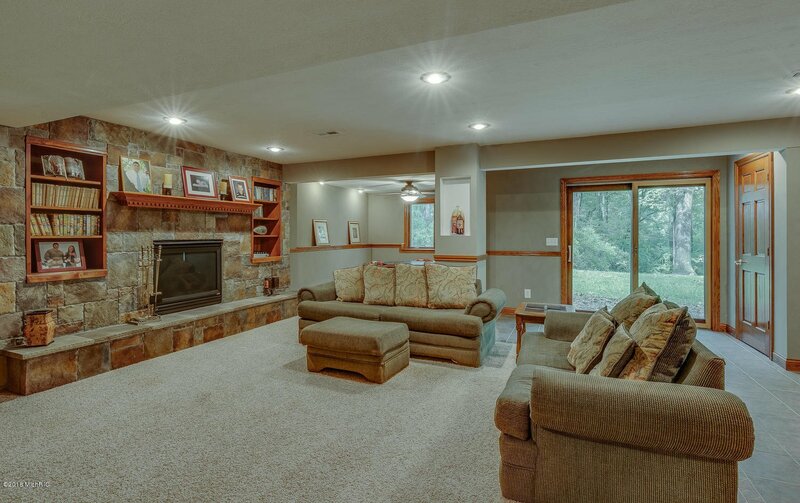 Views of the woods through large doors draw you in to the Great Room with tray ceiling, built-in shelving/cabinets, and tall stone fireplace. 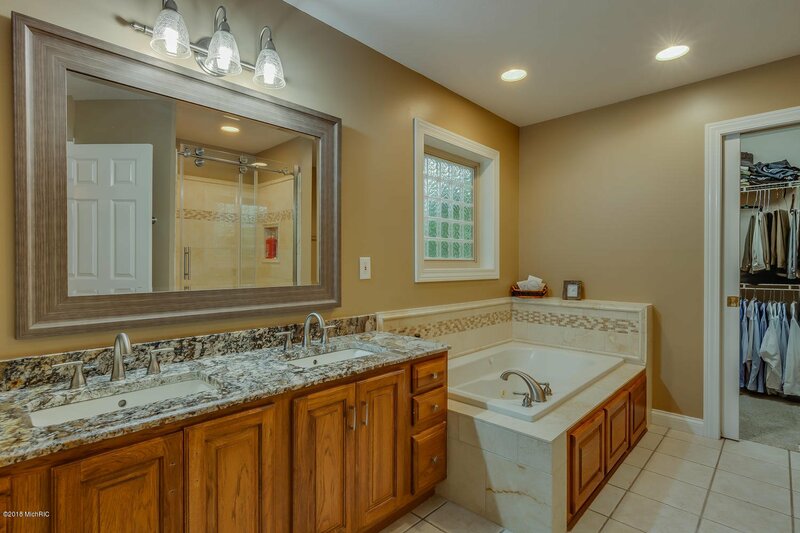 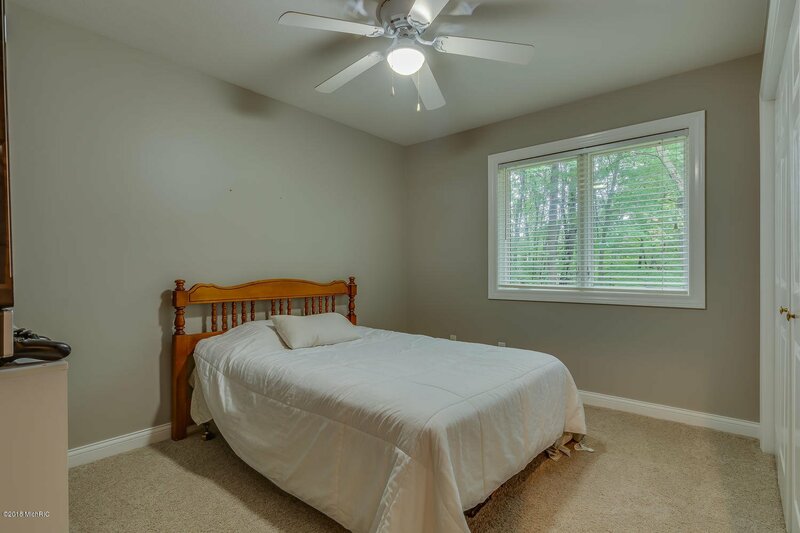 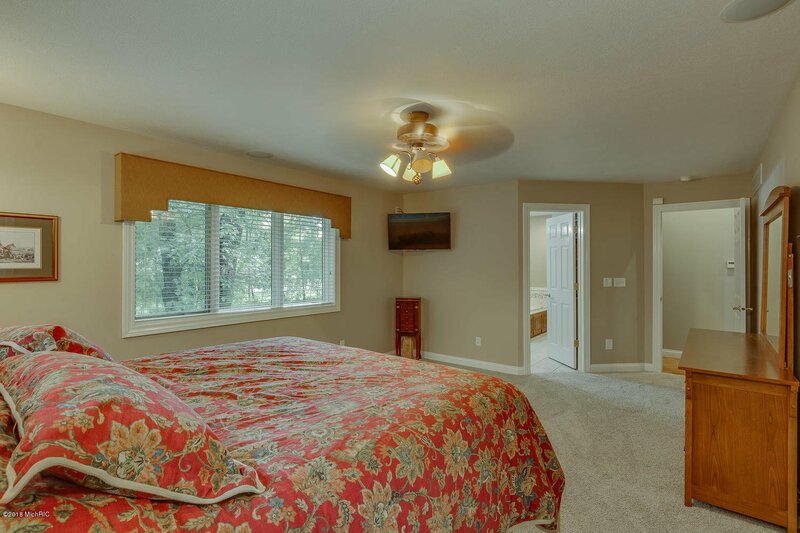 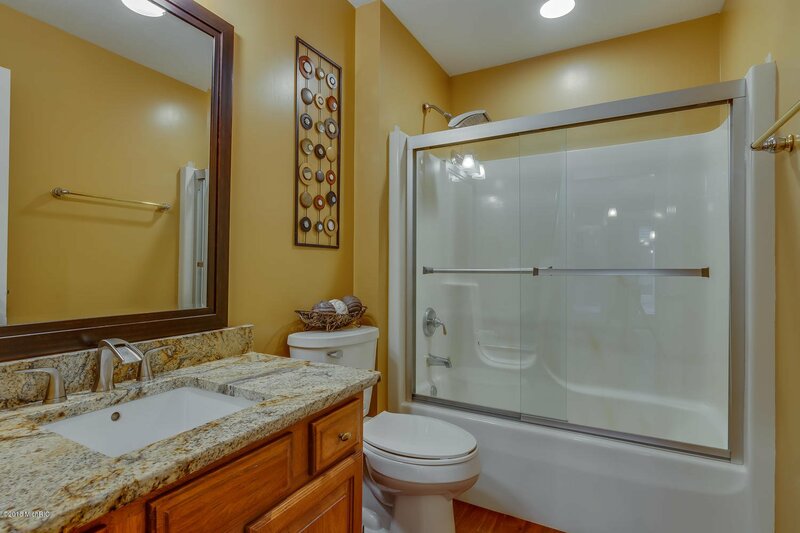 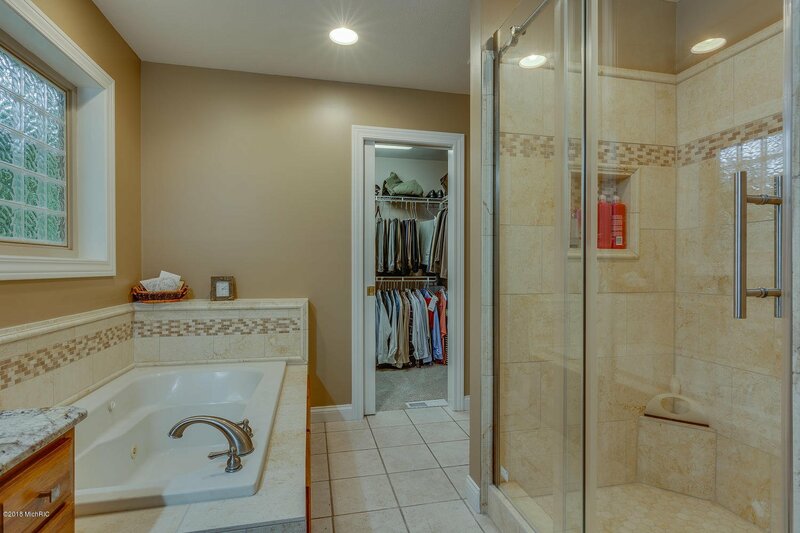 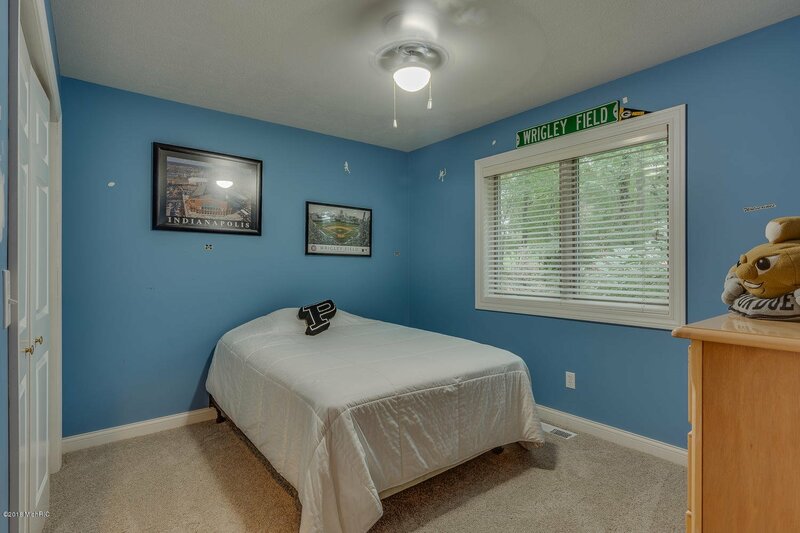 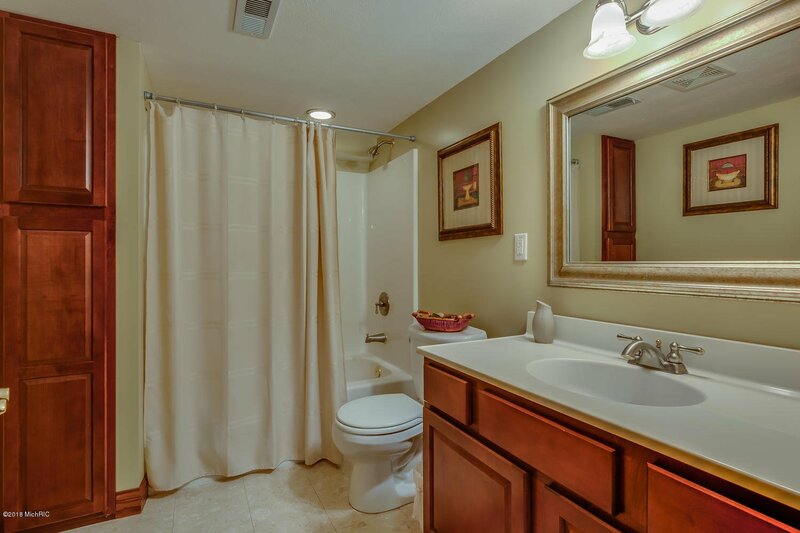 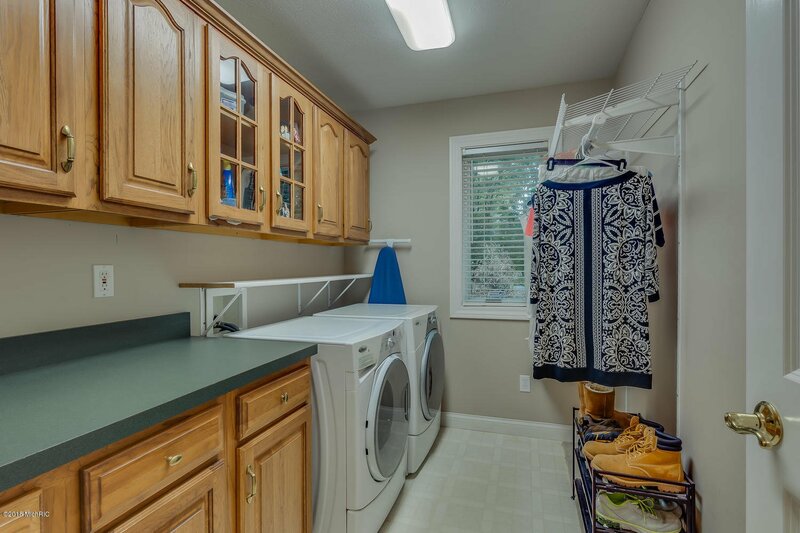 The main level master suite includes a door to the deck and bath with walk-in closet, granite double sink vanity, garden/jet tub, and a stand-up tile shower. 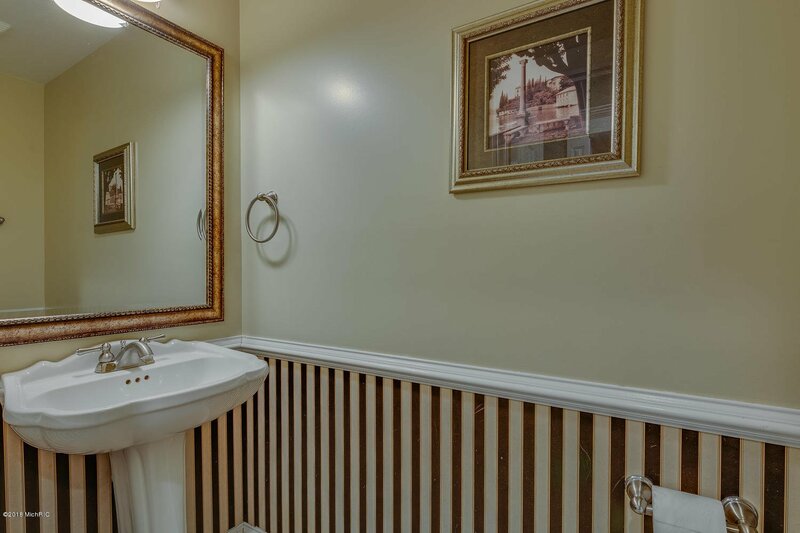 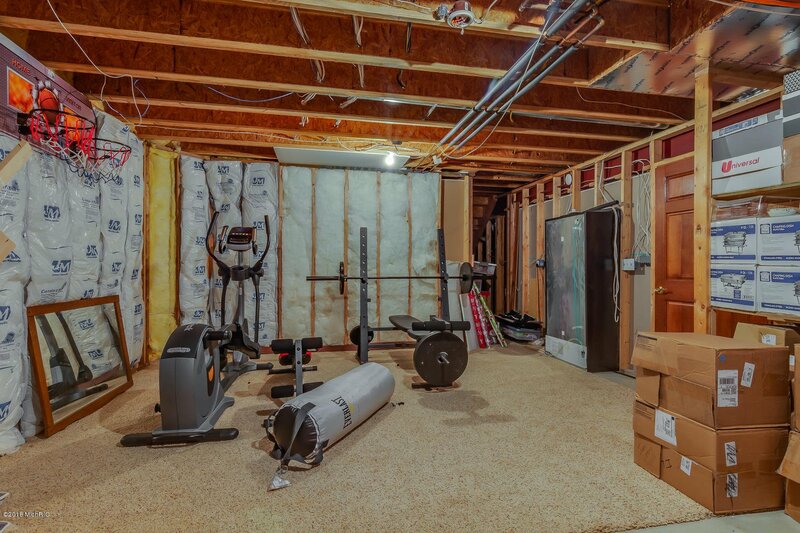 Courtesy of Tim Murray with Coldwell Banker The Real Estate Group.